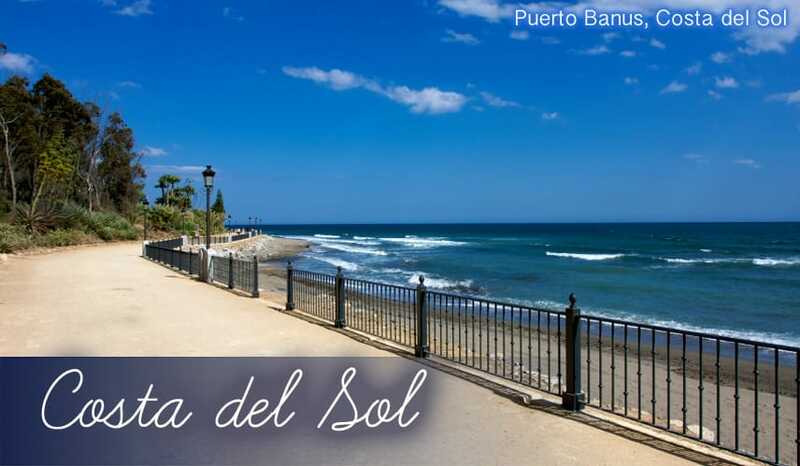 Authentic Spanish town: Many of holidays to the Costa del Sol are specifically tailored towards the tourist market, so it’s refreshing that Estepona holidays 2019 buck this trend. The centre of Estepona town is still very much like the Spanish villages of old with cobbled narrow streets, historic grand buildings and traditional tapas bars. Lovely beaches: The main beach in Estepona is over 2.6km long, giving you lots of golden sand to play (or sunbathe) with! The second beach, El Cristo, is slightly smaller but has a great atmosphere. Pleasant marina: Despite being a fairly small fishing village, Estepona holidays still feature a Marina along coastline. It’s here you’ll find lots of great bars and restaurants which really come into life the later in the evening it gets! Palaeontology Museum: This fascinating museum in Estepona has over 2,000 fossils with some dating back as far as 4 million years. It counts as one of the largest local fossil museums in Europe. Selwo Safari Park: This huge zoo has over 2000 animals and hundreds of acres of space for them to roam around in. There are actually over 200 species within the Safari Park, and it’s exciting to see bears, lions and tigers in getting up to lots of different things in their large enclosures. You can expect to be entertained by the daily parrot, dolphin and killer whale shows too, making it an excellent choice for when you’re on family holidays in Estepona. La Rada Beach: The largest beach in Estepona, and also (unsurprisingly) the most popular with tourists on their holidays here. This 2.6km stretch has a wide expanse of powder-soft white sand, and being right in the centre of Estepona, it also has excellent access to bars, restaurants and toilets. The promenade has a clean, smooth stone walkway which follows the beach from end to end. El Cristo Beach: A slightly smaller beach located just outside Estepona. Sheltered from the winds and closer to the mountains inland, this beach is in the perfect position to make the most of the Costa Del Sol’s micro climate. You’ll get more sunshine hours here than any of the other beaches in Estepona. El Padron Beach: A little further east from Estepona town, this beach has a more peaceful atmosphere to go with the rural quiet surroundings. It’s a lovely place to relax on your holidays and has been awarded Blue Flag status just like the other beaches in Estepona we’ve mentioned. La Pampa: You’ll certainly be full if you choose to have a meal in this authentic Spanish restaurant as the portions are huge! Its actual location is rather understated, on one of the quieter streets in the centre of Estepona. Once you find it though, you’re in for a treat. You can order delights like deep fried mozzarella, Spanish tortilla and perfectly cooked fillet steak. Mare Nostrum: An excellent Chinese restaurant, should you wish to try a little international cuisine while you’re on your holidays in Estepona! The service is fast and friendly, and the large menu includes all the classic Chinese dishes you might expect cooked to order with fresh ingredients. Prices are low too, making this restaurant a great choice for cheap holidays to Estepona. Playa Bella: There’s a real eclectic mix of cuisines on the menu at this welcoming restaurant. You may not expect to see chicken curry, garlic bread and paella on the same menu in many other places during your holidays to Estepona. British bars: Despite being a rather more authentically Spanish town than many other holidays to the Costa del Sol, Estepona holidays still have a large selection of British bars. They often have large Sky TVs too so you won’t miss out on any soaps or the latest sports action! We’d recommend ‘4 Friends’as one of the best bars because it has a clean, modern decor and lively karaoke nights several times per week. Stylish marina nights: Take a short trip out to the marina along the coast during your holidays to Estepona and you can spend the whole night (and early morning) there. When you arrive, you’ll find lots of different bars and clubs to choose from including Irish pubs like O’Donoghues, Spanish bars like Tolone and La Bulla, and lively late nightclubs like Milonga. Authentic shops: On the whole Estepona holidays tend to shy away from the big name brands you find in more famous holiday destinations. But in some ways that’s a good thing, as there’s more space for independent shops selling some uniquely Spanish items to bring back from your holidays. Look out for the delicatessens selling local produce and the cluster of original fashion boutiques. Market days: There are three different markets in Estepona, including the daily fish market which used to be the town’s main source of income. You’ll have to get up early if you want to see it in action though, as it begins at 5am! Aside from that there’s a market every Sunday around the marina which is squarely aimed at tourists on their holidays. Expect to see lots of different craft ware, handmade jewellery and leather goods here. There’s also ‘El Rastro’ held in the centre of Estepona every Wednesday which offers a combination of colourful fresh fruit and clothes stalls.